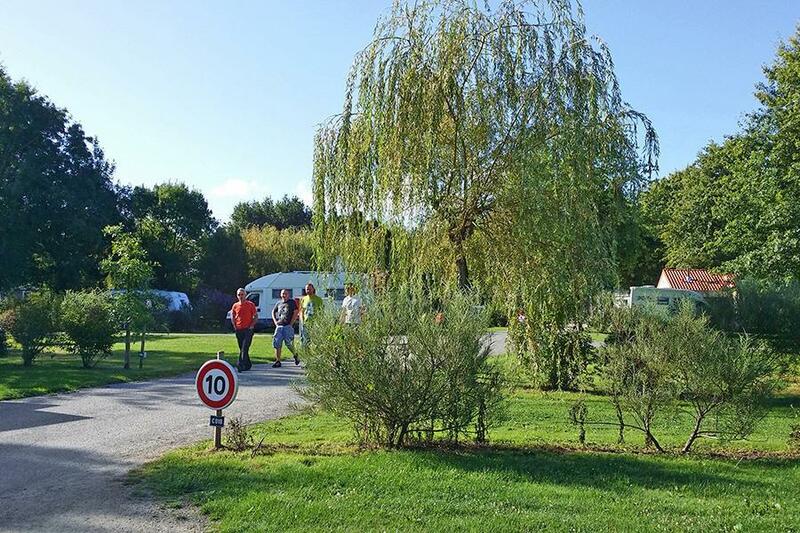 Au Camping du Chêne à Saint-Julien-de-Concelles (Loire-Atlantique) vous pouvez déjà camper pour €18,- par nuit en basse saison grâce à votre CampingCard ACSI. Vous séjournerez sur l'un des 70 emplacements à prix réduit pendant 01-04-2019 - 07-07-2019 et 26-08-2019 - 13-10-2019. Ce camping, où vous pourrez non seulement camper à prix avantageux avec votre CampingCard ACSI, accepte également votre ACSI Club ID (identité adjoint). Ce camping a une ambiance familiale, et il est situé entre la Loire et quelques vignobles, au bord d'un lac. Dans un superbe environnement verdoyant pour se reposer complètement. Only 1 standard outside toilet that opened out onto the urinals was available for the whole site. Not adequate. Reception informed us the cleaners had closed the main facilities since there was only 10 days until the end of the season and nothing could be done. Not a nice experience will not return. Our first stop after arriving in France from Roscoff, very warm welcome by the campsite owner. Pitches are a good size and it was lovely and peaceful at night. Swimming pool was indoors and like being in a sauna as it was 28 degrees when we were there! We ate in the bar on the campsite and food was very disappointing, however there is a large supermarket within walking distance so would cook for ourselves if we were to stay again. Beautiful lake and walkways at this site also. A very warm welcome on arrival. Lovely location on the side of a lake giving access to walking and cycling. Great swimming pool. Clean facilities. Supermarket within easy walking distance. We stayed here for two nights in our motorhome. This was our best site on our tour of France. Our pitch was enormous and level. The shower block was very good, clean and well maintained and always smelt nice. Bruno the owner was faultless with his vigilance and helpful advice. The site is adjacent to a large fishing lake with good walks around. Reception is located next to the bar which was open even at this time of year. Overall an excellent site which we would highly recommend. Est-ce que vous souhaitez réserver le Camping du Chêne ou obtenir plus d'informations? Dans ce dernier cas, consultez les explications ci-dessous. Sortie 44 Porte du Vignoble direction St. Julien-de-Concelles. CampingCard ACSI transmet votre demande d'informations au "Camping du Chêne".